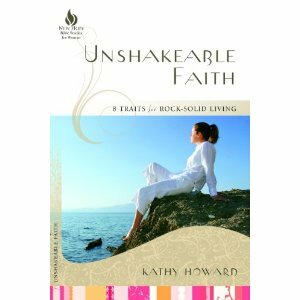 Unshakeable Faith, an 8-session Bible study for women by Kathy Howard, has just been released by New Hope Publishers. This study helps readers apply 8 key “faith traits” found in the life of Peter so they will be prepared to weather the harshest storms of life. 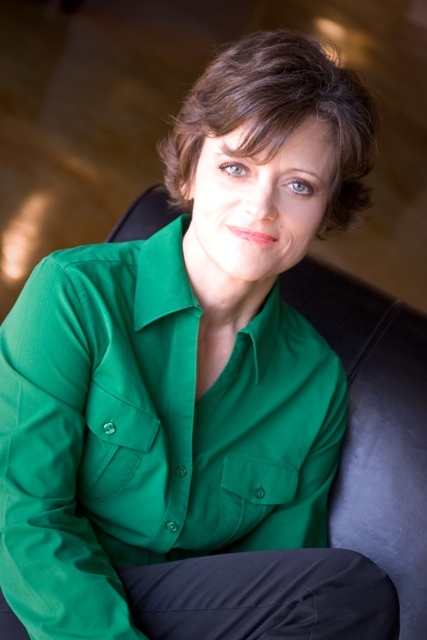 Today we get to talk to Kathy about her new Bible study! Kathy, what prompted you to write on this particular topic? Over the last few years, many Christian women I love and admire have endured difficult circumstances such as life-threatening illness, divorce, death of a child, and financial hardship. The quality of their faith significantly affected how they endured these trials and how God worked in them for His glory. God strengthened and guided them through their close relationship with Jesus. Their experiences made me wonder how I would do in the same circumstances. Like most women, I manage to juggle the everyday things of life – work, family, ministry, and home life – without too much difficulty. But sometimes, even in just a small crisis, my self-sufficiency is shaken. Would I stand firm in really hard times or would these trials knock me flat? I began to ask God to show me how my faith could be prepared. So why Peter? Why is he a good example for us to study? Peter was just an ordinary man, a fisherman. He worked hard. He had a family and friends. Peter was passionate and a natural leader, but he was also headstrong and impetuous. Peter had sworn to follow Jesus unconditionally, no matter the circumstances. Yet on the night Jesus was betrayed, his faith wavered and he denied His Lord. But then several decades later Peter willingly faced martyrdom rather than deny Him again. This study is about what made the difference in Peter’s faith. Unshakeable Faith looks closely at Peter’s life and teachings to discover some of the key characteristics God built into his faith that helped him stand firm in the face of death. That’s the kind of faith I want to have. I love to study God’s Word. Learning about God, His ways, and what He desires for us is wonderful. But if we don’t apply what He teaches us, let it shape our lives, then we fall short of the full purpose of study. Unshakeable Faith not only leads readers into learning God’s Word, but it also purposefully helps readers apply it. In addition to each week’s application section, there is a “Faith Shaker” story that helps us see how that faith trait works in real life. These stories are about real women who have faced a life trial with which many readers will relate. Readers get to see how their faith keeps them standing firm. A strong faith in Jesus Christ does work in real life! Where can readers get a copy of Unshakeable Faith? The study is available at most online bookstores and many Christian bookstores. If your local bookstore does not carry it more than likely they can order it for you. Here are a few links to online stores: Amazon, New Hope/WMU Bookstore, Barnes & Noble and Christian Book Distributors. Soul Care, God's Way ~ 7 Copies to Giveaway! Are You RADICAL For GOD?